A saint is a holy person. In Islamic religion saints are people who are believed to have exceptional holiness towards Almighty ALLAH. some of the important Islamic Holy personalities. Sheikh Abdul Qadir Jilani was born into a pious Syed family (descendants of the Holy Prophet) in Jilan, Iran. His father Abu Swaleh Jangidost was an extremely virtuous person and was married to the equally saintly daughter of Syed Abdullah Saumi, a well-known divine of his time. Imam Ahmed Raza Khan was born on a Monday, the 10th of Shawal 1272 A.H (14th June 1856), at the time of Zuhr Namaz in a place called Jasoli, which is in the city of Barelvi Sharif, India. The history of Islam stands witness to the fact that the spreading of its message to the furthest corners of the world are due to the tireless efforts of the Awliya Allah (Sufi saints) and the Ulema-e-Kiram (Islamic scholars). In particular, the delivery of Islam’s message is hugely accredited to the work of the Awliya Allahwhich has resulted in the Muslim rule of India/Pakistan for approx. eight hundred years. These Sufi saints emerged from the Arab world, and from the cities of Sanjar, Ghazni and Bukhara. They presented such a fine practical example of the doctrines of Islam to the inhabitants of the Indian sub-continent that people who worshipped idols of stone and multiple deities now turned to worship the one & only true God, Almighty Allah. Amongst this group of pious accomplished Sufi saints is the great leader by the name of Khwaja Shaykh Ghulam Mohiuddin Ghaznavi, may Allah’s Mercy be upon him. He was born in 400 A.H. in Ghazni, Afghanistan to a Syed family (descendants of the Holy Prophet). He completed his earlier education in Ghazni by memorizing the Holy Quran, and then studied Arabic, Farsi, Hadith, Fiqh and Philosophy. At that time, Ghazni was the center of education in Central Asia, and it was the realm of the famous Afghan ruler, Sultan Mahmood Ghaznavi. After completing worldly education, Hazrat Ali Hajveri began to seek spiritual enlightenment . He travelled to many places for this purpose, and finally became a disciple (mureed) of Hazrat Abul Fazal Mohammad bin Khatli from the Junaidiya Sufi Order, who lived in Syria. In Syria, Hazrat Ali Hajveri started his spiritual education under the guidance of Hazrat Abul Fazal. He slept less, ate less, performed tough contemplations & meditation. Then he travelled to many countries & places like Iran, Iraq, Syria, Turkey, Arabia, Azerbaijan etc. where he met many Sufi saints & dervishes. Khwaja Mohammad Durrab Khan was born in 1912, in the Ghazni province of present-day Afghanistan. His initial Islamic education was obtained from his father Khwaja Sheikh Mohammad Akbar Khan and from his uncle, Khwaja Gul Mohammad, may Allah’s Mercy be upon them all. The major turning point of Khwaja Mohammad Durrab Khan’s life came when his elder brother, Khwaja Ghulam Mohiuddin, took a visit to India on a business trip for his horse trading commerce. On his travels, he decided to visit the centre of Mohra Sharif where he stayed for some time and received much spiritual blessing. Eventually he pledged allegiance (bayt) at the hands of the great Khwaja Mohammad Qasim Mohrvi, may Allah’s Mercy be upon him, who then became his spiritual guide and teacher. Khwaja Moinudeen Chishti (RA) was born in the year 536AH in Sijistan, Iran as the son of Khwaja Ghyasuddin Chishti who was a very pious and influential man. He was a direct descendant through both his parents, of Hazrat Ali (RA). His birth was a time of chaos and great upheavals in both India and the Muslim Empire as a whole, and so he was orphaned at the tender age of fourteen. Thus raised in the same condition as Rasulallah (s.a.w). But soon there reached a point where social evils, moral degradations and personal tragedy stirred something deep within his young mind, and he began to turn towards the spiritual life. Hazrat Imam Jafar Sadiq was the son of Imam Muhammad al-Baqir, son of Hazrat Imam Zainul Abideen, son of Hazrat Imam Hussain, son of Hazrat Ali bin Abi Talib. Hazrat Imam Jafar Sadiq was born on the 8th of Ramadan in the year 83 H. His mother was the daughter of al-Qasim, whose great grandfather was Hazrat Abu Bakr Siddique. In his quest to seek unity with Almighty Allah, he renounced worldly pleasures and eventually reached the state of self-annihilation which is the only way one can be closest to Allah. He also became known as the first ‘intoxicated’ Sufi, referring to his complete devotion to God, which reached such an extent that he would openly express his love for Allah. For this reason, he was controversial during his time yet extremely influential in the world of Sufism. [Caliph Umar bin Abdul Aziz was extremely pious and disdainful of worldly luxuries. He preferred simplicity instead of the extravagance that had become a hallmark of the Umayyad lifestyle, depositing all luxury meant for the himself into the public treasury. He abandoned the caliphal palace to the family of Suleiman and instead preferred to live in modest dwellings. He wore rough linens instead of royal robes, and often went unrecognized. Hazrat Owais Qarni was born in the village of Qarn in Yemen. Hazrat Owais Qarni’s father, Abdullah, was a very religious and God-fearing person and wanted to bring up his son in the strict principles of Islam. He passed away leaving Hazrat Owais Qarni an orphan at a young age. The family was so poor that there was no money to send him to a teacher. However, Hazrat Owais Qarni (R.A) could never meet Rasulallah (s.a.w) in person, primarily because he used to take care of his sick mother, and she did not like him to travel and leave her on her own. Shah Bahauddin Naqshband was born in the village of Qasr al-Arifan near Bukhara in the year 711 AH/1317 CE. He is reported to have had miraculous powers even during his childhood. When he was still a youth, Sheikh Muhammad Baba as Samasi, a Sheikh of the Naqshbandi Tariqa, asked for him and to fulfill this request he went to the village of Samas in order to serve him. In the Middle Ages he was known as Algazel, the mystic and theologian. He mastered Arabic at a very young age and was fluent in his native Persian tongue as well. 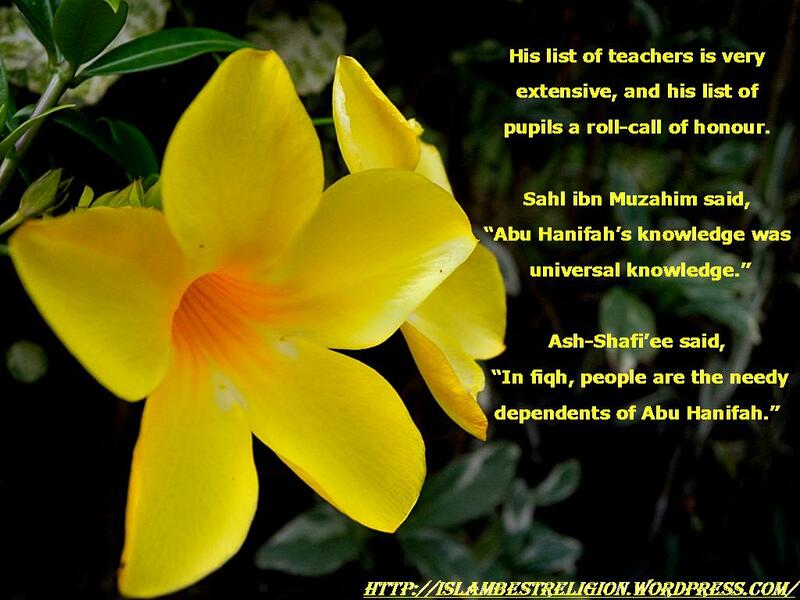 His education was far reaching within Islamic learning. He completed his education in theology and law in Nishapur where he also was schooled in Islamic mysticism, also known as Sufism. She was born between 95 and 99 Hijri in Basra, Iraq. Much of her early life is narrated by Farid al-Din Attar. Many spiritual stories are associated with her and it is sometimes difficult to separate reality from legend. These traditions come from Farid al-Din Attar, a later Sufi saint and poet, who used earlier sources. Hazrat Rabia herself did not leave any written works. Hazrat Mawlana Nooruddin Abdur Rahman Jami (R.A) was born in the small town of Jam (also known as Khorasan), on the 23rd of Shaban 817AH. He is a famous Sufi, and a follower of the Naqshbandiyya Sufi Order. Hazrat Shah Jalal was a great Wali Allah of the Naqshbandi Silsila, and is the most celebrated personality of the region of Sylhet, Bangladesh. Hazrat Shah Jalal’s influence commands great respect from Muslims of the Indian subcontinent and is regarded as a national hero by the people of Bangladesh. Hazrat Shah Jalal’s name is also associated with the Muslim conquest of Sylhet, of which he is considered to be the main figure. 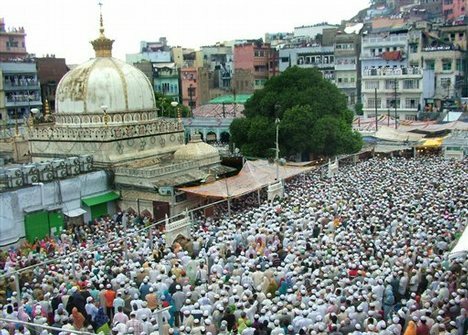 His place of burial is in Sylhet, and this Mazaar Sharif is visited by hundreds daily. Hazrat Shahbaz Qalandar was a Persian Sufi saint, philosopher, poet and Qalandar, born in 1143 in Marwand near Tabraiz, Iran. Hazrat Shahbaz Qalandar ‘s real name is thought to be Muhammad Usman – however others claim it was either Shamsuddin Abdullah, Syed Shah Hussain or Syed Usman Shah Marwandi. He is known widely across the world as Lal Shahbaz Qalandar. He was titled ‘Lal’ (red) for his usual red attire; ‘Shahbaz’ due to his noble and divine spirit that soared like a falcon higher and higher in the boundless heavens; and ‘Qalandar’ for his saintly attitude and love for God. Hazrat Nizamuddin Awliya represents in many ways the pinnacle of the Chishti Order (Silsila). Hazrat Mawlana Jalaluddin Mohammad Rumi (30 September 1207 – 17 December 1273) is a 13th-century Persian poet, jurist, theologian and Sufi mystic. He is one of the greatest saints in Islamic history and is well-known in the West for his Sufi poetry, especially his treasury of couplets entitled Masnavi Sharif. Mawlana Rumi [R.A] was born on the 6th of Rabiul Awwal in the Islamic Hijri year 604 in Balkh, present-day Afghanistan. His father, Hazrat Bahauddin Walad [R.A], was a great Muslim scholar and also a Sufi saint who descends from the lineage of Sayyidina Hazrat Abu Bakr Siddiq [R.A], the first Caliph of Islam. Hazrat Sheikh Ahmad Sirhind, also known as Imam-e-Rabbani [the Imam of Wise Guidance] and Mujaddid Alf Thaani [meaning the reviver of the second millennium], is a great Sufi saint of the Naqshbandi golden chain [also known as a Silsila or Tariqa]. He was given these titles as accolades for his undeniable work & effort to revive the spirit of Islam and oppose the corruption prevalent during the time of the Mughal Empire. His significant religious influence in India still holds great impact upon its Sufi roots even to this day.